Living Stone, nestled in the Central Texas Hill Country, houses a dynamic Christian camp and retreat center. From this vantage point, a family guards divine secrets that empower them in their work to defeat the spirits of darkness. The young Francesca, a talented ballet dancer, returns home from a worldly journey that has taken her far from faith and family. She steps into the unexpected world of Living Stone and meets a Christian musician who ushers her toward her God-given destiny. Too quickly, Francesca is abducted. Living Stone joins with warriors from the heavenly city to battle the powerful demonic forces holding her captive. As Living Stone searches, Francesca becomes caught in a tug-of-war between two demonic strongholds. She endures the horrors of abduction and enslavement, only to be thrust into the terrors of a true fortress of evil. Living Stone rushes as Francesca dances. 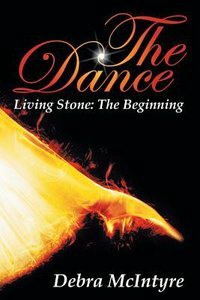 The Dance is a Christian adventure that will entertain and challenge readers to take their faith to the next level. The Dance invites you to become one with the purposes and heart of heaven. Debra McIntyre has worked with at-risk teens for over twenty years. She is concerned with the dangerous path that young women navigate but is encouraged with the powerful impact that mothers and other women of faith can have on our daughters. Debra resides in Kingwood, Texas.